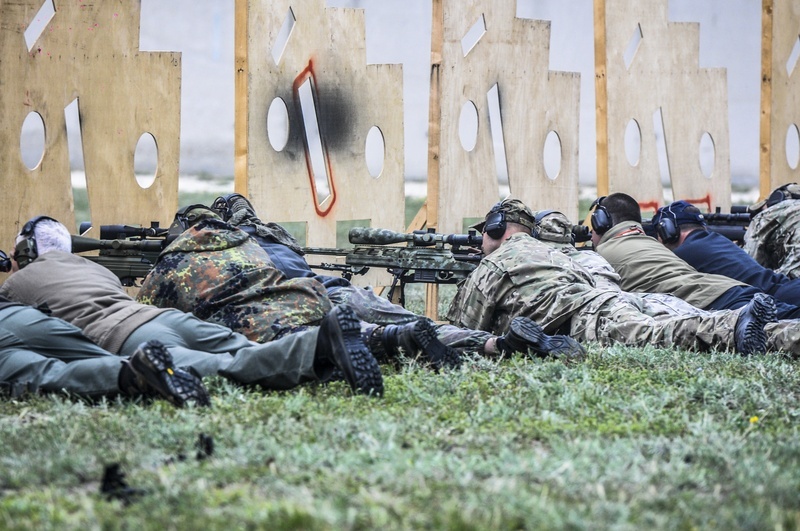 As in previous years the venue for the competition was a military training facility just outside of Budapest, the range offers a wide range of possible shooting scenarios and training possibilitys including moving targets, long range, down hill angles, obstacle course, desert area, and moving vehicle driving area. I've attended the event twice in the past and I can honestly say the Hungarian organisers constantly surpass themselves in trying to find more and more challenging ways to perform the most difficult shots, and Im pleased to say this year was no different with the hardest comp Ive ever shot. The range itself is split into three sections and the competitors into three groups and rotated throughout the three ranges so basically if your not shooting your moving, and if your not moving your shooting. This adds to the constant pressure of the comp and makes sure you only see the target when youre about to engage it. Day 1, for once the either was kind to us Budapest seams to have its own micro climate with huge swings in temp and humidity but this morning was overcast and cool, but there was no gentle start to the proceedings that could help to check your rifles zero on a nice inward scoring target, the first target was an empty .50 Cal case fixed to a wood post 150 meters away the cof was shoot one round through the case in a 30 second time frame. A clean hit scored top points, a glancing hit less points a complete mid was zero and " no shot" area was -25 points. First day nerves got the better of me and I was awarded the minus 25 for a badly pulled shot on the first event...not a good position to start from. But with that out of the way we sent to the desert area a large sandy area for a series of exercise ranging from 40 to 150 metres mostly shot on a very short time scales at targets some scoring areas not much larger than the width of your bullet and from various changing positions. Sand a rifles are not good friends and a great deal of attention has to be paid to keeping your action free of debris and sand kicked up by rapid handling, moving and unfriendly muzzle breaks. This section finished with a moving (mechanically swing) hostage target, with the knowledge that a hit on the hostage would mead more minus points we decided on trapping (or holding on the area we thought it would be) and on its third exposure my partner Paul and I shot simulated on the final exposure for some solid plus points. As I expected the temp rocketed and after spending the afternoon in the "desert" we all broke for the evening meals that were provided on the range and then prepared for the night shoot. This was two cof, so as the boiling hot day gave way to a very cold clear night we prepped for two cof. the fist day ended at 11.30pm and with a next day start of 8.00am it was weapons clean and straight to bed. We finished of the day with a staple event for this comp SOG knives are a sponsors and favourite exercise is a combat knife held in a block of wood with a piece of paper behind it, the object of the exercise is to fire a single bullet at the sharp edge of the blade and cut the bullet in half and show two holes on the paper behind. This seemingly impossible shot is possible but at 85M require nerves of steel particular when you have 40 other shooters around you all shooting at once in a 30 second window of opportunity. Its a testament to the quality of participant that over 75% did complete the task to the judges satisfaction. Unfortunalty this year although I hit the knife a glancing hit down one side of the knife meant the required two holes on the paper were not there so no points. Again after evening meals on the range cleaning of rifles and debriefing of the days events left most except the youngest heading of to bed. Day 3, just when I thought we were getting in the swing of things and there not much else new they could through at us we were marched to the driving training area of the complex and split in to groups of three teams. The three teams were mounted and the back of a flatbed of an articulated truck and driving at 15 kph drove passed two sets of targets 100m out each requiring double taps by both shooters. This was a new one for me and with a min power of x12 on our S&B scopes and the bouncing truck was not any way easy in the least, plus there was the added complication of working out the amount of lead to give the target. (If you like challenges try and work the firing solution. The answers I will be at the end of the article) luckily Paul being the brains of our team came up with a solution and it was proved correct with 5 solid hits on a bad guy target. crosswind added another factor in and meant that we again only scored 50% points. The final event for us was another new one and tough one too, shooter A runs up a 15 ft. ladder fastens onto a safely points and shoots over a concrete barricade at 3 decreasing sizes of clays, once completed unclips goes back down the ladder runs back tot the start line and tags his partner who runs forward to a waiting car and resting his rifle on a car bonnet engages another 3 clays, all this must be done in 90 seconds! The stress induced screw up factor here is huge, and short cycling my action meant a case jamming in my action meant my coming down with only one clay hit. Fortunately Paul managed to pic up the other 3 clays in a very rapid display of speed shooting. That gave us some much-needed points. The competition is split in to separate Police and Military sections and is scored as an individual and a combined score as a team. This year there were teams from 20 countries ranging from as far afield a USA to China with 140 competitors from both regular and irregular units. As in the past Russia, Ukraine, China and Belarus fielded some outstanding Special Forces teams and this showed in the scores at the end of the day. Sadly the UK did not have official military representation but two members of Humberside police did attend using personal kit and gave a good account of there skills, myself and Paul through a good deal of hard graft and number crunching had a good result in joint 4th in the individual and 6th in the team section. As in the past please dont try and replicate any if the COF mentioned here as it could result in injury or death, stay safe. 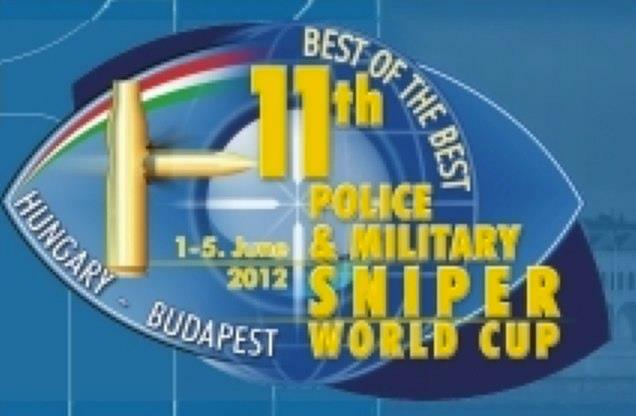 in 2008 I was invited to attend the World Police and Military Sniper Competition in Budapest, which in the sniper - tactical circles is billed as the Best Of The Best with teams attending from around the world, although ive attended many similar competitions the skills required to compete at this level meant this was a baptism of fire, but I had a great time, made some good friends and made plans to go back the following year, unfortunately shortly after arriving back in the UK I found myself working in Afghanistan so in 09 I missed out, but this year I managed to pull some strings to get my R&R rotations to fall in the last week of May just in time to coincide with the comp dates. Having attended the comp before in knew a good level of psychical fitness was going to help, so after several months serious training in the 45 degrees heat of an afgan summer I felt at least fit enough. Although it was difficult to co-ordinate things from Afghanistan I managed to sort the flight and organise a partner and order various parts for an unfinished project 6.5x47 rifle just in time for my return to the UK in early May. 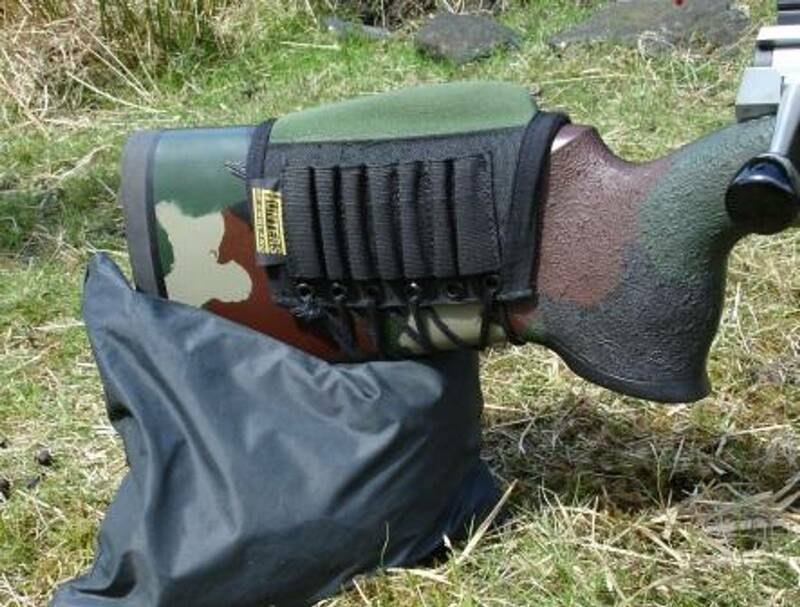 I headed of to York Guns to pick up the new S&B 12x50x56 a custom built scope which had been fitted with an new reticule, I had been working for the last 8 months with the technicians at S&B to make the P4 reticule a little finer (I felt this was necessary in order to make really precise shots that would required) and also hollow out the heavy black side bars (so they become see through so to speak this would make spotting moving targets entering the FOV) S&B also made the turrets to ¼ MOA clicks and turn anti clockwise for the elevation, and the windage = down to move to the right (in other words the same as a Luepold or US built scopes which is what im used to shooting..
Ive never owned a S&B before due to the fact the top end of the magnification was only x25 power and I prefer a wider zoom range around the x20 to x40 this high end mag is only usable if the weather conditions are permitting and it also help do away with a separate spotting scope, the quality of the S&B product range are outstanding in the field of optics. the focus at all magnifications snapped quickly and more importantly clearly into view, the clicks are solid clicks almost to the point of being hard. After fitting it to the rifle I used a grid pattern at 100 yds and the scope tracked consistently making solid adjustments in both windage and elevation.. The scope is quite heavy at 1150 gms This is a Bi-product of the Mill spec build and the thickness of the tube, im more than happy to carry some extra weight in the knowledge that it will not fail at the first hard knock in the field, this was especially relevant as while I was working on it I dropped the rifle landing it on the rear eyepiece, this shattered the flip up cover but the scope was un marked and more importantly was un-affected. The join between the scope and the rifle is just as critical as any other aspect of the build indeed skimping on the rings would negate the quality of the whole build, so the rings I choose for this job were a new offering from US Optics, made from a combination steel and aluminium and with a super large bearing surface of ¾ inch they would ensure the scope would not be going anywhere. The second part I had to collect was a sound moderator, I have used a sound mod on nearly all my rifles for the last 8 years and find it much easier to shoot with one rather than without, also its big help in health and safety dept whilst surrounded by other shooters on the range. The reduced muzzle flip helps you to watch your round going in and helps speed up the follow up shot, both of these apply both on land and in an on range competition. And lastly and maybe most importantly it helps with my shooting technique, the reduction of felt recoil, noise, and rifle jump all help to overcome the dreaded flinch. 1, the spider this is the internal part of the unit (usually unseen except when stripped) that screws onto the end of your rifle and comes back over the barrel, this is also known as the secondary expansion chamber. 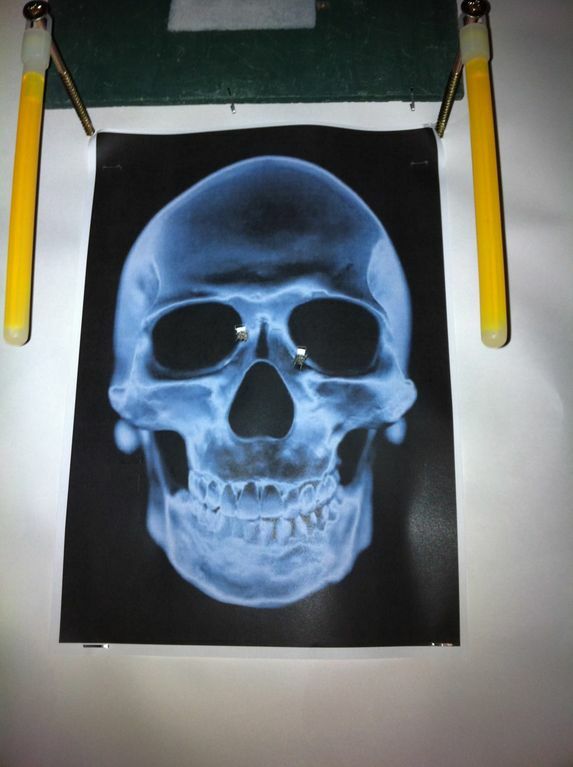 This also holds the bush that contacts to your rifle barrel to provide extra strength and support. 2, The primary expansion chamber tube, this is a tube that fits inside the mod body tube and is what the baffles sit on, this also helps to strengthen the mod body at a crucial pressure point. 3, the stack of 5 steel baffles, all identical so they can be rotated if required. 5, the aluminium external tube, or body of the mod, another nice touch here was to knurl the exterior of the tube to allow for extra grip with cold, wet or gloved hands. Andy is a friend and keen shooter he has been building his own rifles as well as commissioned projects for several years and ive shot with him so I have seen what his handy work can do, so I had no problems in handing the project to him and several weeks later the barrelled action complete with a threaded crown and invisible thread protector was ready. The stock comes pre-inleted for the action and the trigger floorplate so the metal aftermarket floor plate (another product from South Yorkshire Shooting Supplies) drops straight in, this enables me to use the Accuracy International 5 and 10 shot magazines. So with all the work done and the parts assembled I used titanium Devcon to bed in the rifle action and the trigger floor plate, once done this in effect welds the three parts (action, stock and floorplate) to one solid part ensuring once the two action screws are torqued to the correct foot pounds nothing with move. Due to the lack of time the only thing that I wasnt able to do was have the rifle painted but I will be paying Dave Wild at SYSS a visit to get the whole rifle finished in ether a Kryolon or Duracoat overcoat when I get home next time. I had a bad feeling about this one (as the line goes) 24 hours before getting on the plane to my shooting partner that I was meant to be meeting in Prague called me to say he couldnt compete because he had a elbow injury !**! As the comp was a team event this was going of be a big problem.. so I set of on the journey to get there not knowing if my emergency emails to all the other competitors, to ask if anyone could find me a new partner would work. As luck would have it an old friend and avid shooter Fernando US Ranger Sniper (ret) was forced to retire from the comp before it started due to an eye infection, this then meant his partner Nick (currently serving US Army) was also urgently in need of a partner. Fernando kindly suggested we shot together and that was that we were back in the game albeit slightly handicapped by our lack of knowledge about each other. With only a day before the official start of the comp we did a kit check to remove any unnecessary or duplicated kit and worked out a standard language and measurement system we would use to communicate to each other when on the range. So with fingers crossed we attended the opening ceremony and prepared ourselves, with over 100 competitors speaking 8 different languages and 26 Course Of Fire to get through, slick organisation was needed and in order to speed up the comp COF briefings usually covered x3 different targets, so you shoot one then move to another distance shoot again and then move again to shoot the final target before the targets were checked and scored. With absolutely NO zeroing before the comp this is a nervous time for all competitors as it was straight into the comp and missed targets meant minus points! This may sound cruel but think about it.. these type of rifles have to be able to stand hard knock and sometimes transportation to possibly different parts of the world, come out of the box and shoot perfectly so this exercise was a good test of the kit. As a testament to the quality of the people and parts involved in building my rifle is shot exactly the same POA / POI as in the UK the Sako TRG nick was using needed a very slight adjustment in windage and he was good to go. This year a great many of the COF started from a standing position or a short run down in order to get into position and of course the mandatory small time frame to make the shot, this upped the stress levels and made it more difficult than last time, this level of difficulty was compounded as usually you had 30 to 50 seconds to make a decision and take the shot! Once again in keeping with real life situations you have to carry all of the kit youre using and have to be able to move swiftly with it, so no heavy bench rest or F class kit here, its all bipod, back bag range book and ammo. The variations in the COF in both distance and content had become more difficult this year also, for example the second set of targets on the first day meant a 300m single shot to a partially hidden hostage target 4x2 inch in 40 seconds, a move forward to 80m to a letter box size opening some 8 inches of the ground (which meant the rifle would only go through sideways with the bolt facing the sky) not only this, the start was 10m back so a short run to get into position and fire 3 shots all in 30 seconds and then change over with the partner!! And it finish of this series of targets, a move back to 150m for a single shot in a 20 second window at and empty .50 cartridge case and only clean holes count!! After a short lunch on the range it was back to work, shooting continued till 1700h with various shooting over obstacles to replicate engaging targets from over a roof apex, the always popular using your partners body as a support for your rifle (better known as the karma sutra) whilst wearing body armour, this year it was my turn to be the support and I must say I was a little nervous about having a Sako muzzle break that close to my back side but it all worked out!! and we scored well. 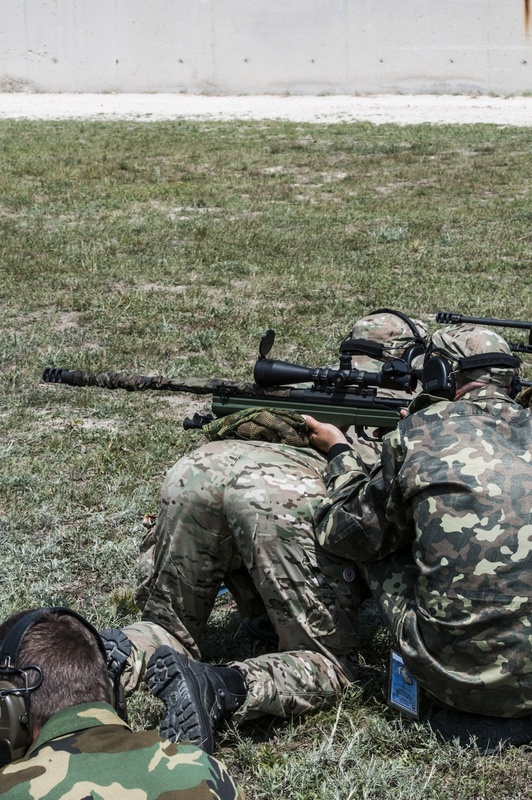 As real world scenarios dictate that a sniper will not always have a perfect prone position to shoot from, to finish off the day we had two particularly cruel exercises. From a standing start adopt a kneeling position load and fire at 100m at a very small target in 25 seconds (miss meant minus points) and as if to emphasise this proficiency in mutli position shooting the final exercise was a 300m COF 2 shots standing 2 shots kneeling and 2 shots prone in 60 seconds.. It was decide by the comp organisers that due to forecasted big storm heading our way that we would shoot the two night shoot exercises on the first day, so we grabbed a bite for evening meal and prepared the gear for Night Shoot first of all this meant a liberal splash of mosquito repellent but even my 100% Dete didnt seam to work and I was well and truly chewed on every exposed bit of skin and as luck would have it got a bite on the tip of my trigger finger which promptly swelled to twice it normal size. So while we waited and got chewed by the local insects I had a chance to take a look at some of items brought by the weapons producers to tempt out our plastic out of hiding.. Two that caught my eye were a mag holder that doubles up as a forward grip for Glock pistols and a new semi auto .50 material destruction rifle for counter IED ect. Undaunted at 2100h we were called forward to 150m and were presented with a 4 inch inwards scoring target and under the illumination of a flare we engaged with two rounds in 10 seconds. 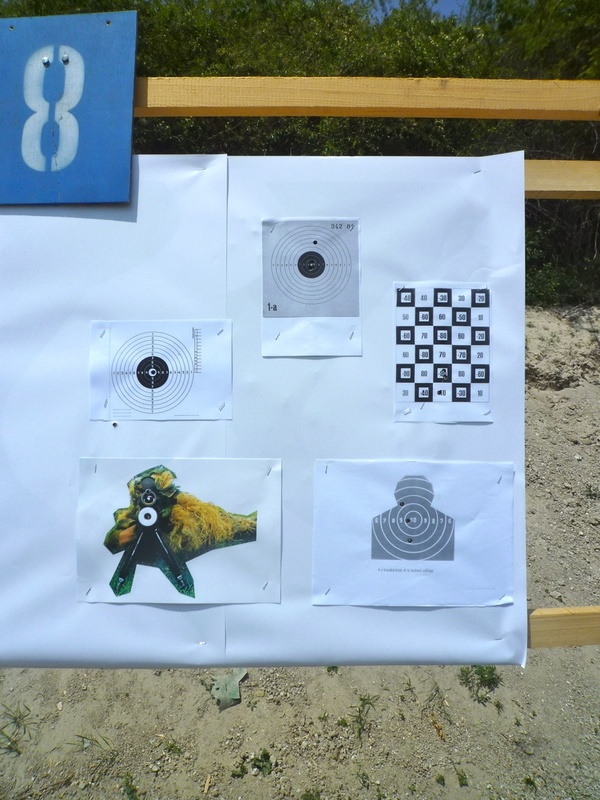 For the second exercise we moved back to 250m and engaged a half size hostage target 2 rounds each, as a very strong hand held spot light was moved along the targets this gave about 5 seconds for the shot and again a miss or a shot to the hostage meant minus points. The second days shooting was no less difficult than the first and we had the added difficultly of near constant rain which alternated from drizzle to torrential downpour and back again all day, so we got wet and stayed wet. And to add insult ot injury we were taken to a part of the range I hadnt seen before The Sand Pit yes its a big sand quarry, as you know dry sand and rifles dont mix.. but wet sand is even worse. The next series of exercises were again multi position standing kneeling sitting and prone at distances ranging from 30m to 150m the last of these was a moving or swinging hostage target again one round each at roughly 3 seconds per exposure, unfortunalty this was one of the (minus points) events and for what ever reason I just cut the line of the hostage, I fairness to me it would of only taken a piece of her hair away!! but a line cut is a line cut and I got a penalty -50 for me! that laps in concentration was to cost me dearly. Later on we moved back to the grass range which now was mud for two excises that I hadnt seen before the first one was a 10m Crawl on your back whilst carrying the rifle and kit on your chest to the 350m line for a one round shot in 40 seconds and a reactive target for reactive see exploding target, a small explosive flash bang with a 20mm detonation cap, this was below a small inward scoring target, shooting and hitting the flash bang meant you could engage the inward scoring target, the tricky part was the flash bang and smoke temporally obscured the inward scorer above it.. so a shot through the smoke was in order and of course precise memory of the location of the scoring area on the second target, all cleaver stuff. The longest shot on the day was a 5 shot string at 470m onto a standard FBI target, once again on the face of it not to difficult COF until the two fire engines hidden by blast walls on each side of the range turned on there hoses and provided us with a wall of water to shoot through.. all of at once things got a whole lot more difficult the water acted like a mirage and through the scope the target moved and danced as the light was refracted by the falling water droplets also the wind was bring the fallout a heavy mist towards us so fast shooting was needed before the water hit the scope lens. 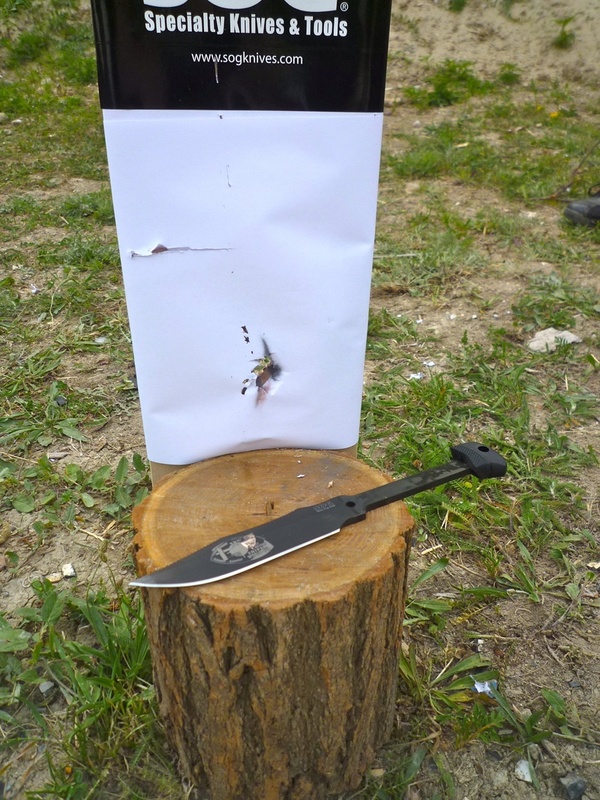 And finally the one COF that has become a standard event in this comp The Knife Shot a standard fix blade knife is knocked into a block of wood, cutting edge facing the shooter and a clean piece of A4 is placed behind it. The shooter is positioned prone 80m back and in a time frame of 30 second must fire a single round and hit the blade, if successfully executed the knife will split the bullet in two halves and show on the paper behind.. this obviously requires pin point accuracy as the very tip of the bullet must strike the cutting edge of the blade a millimetre ether way from dead centre and the bullet will slide down the side of the blade. 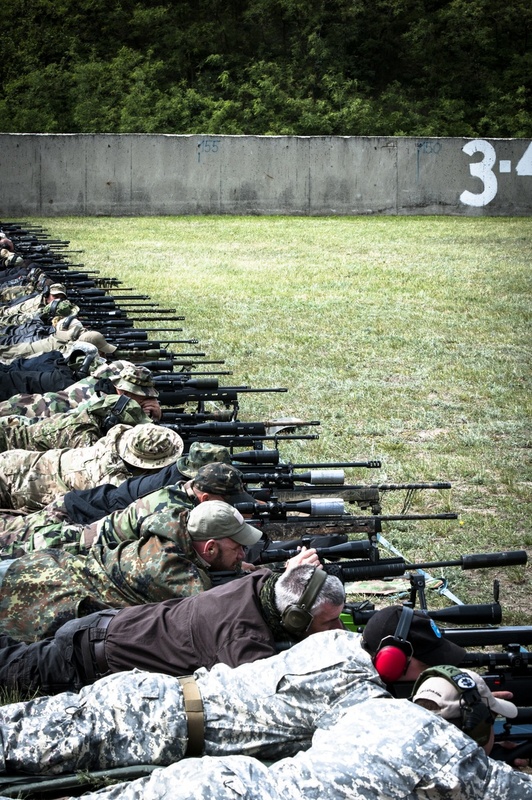 This is a real test of nerves, everything must be perfect in order to do this and with 30 other rifles going of around you its so easy to miss. And with the knife shot over that was it for another year and the winde down of cleaning gear and packing was in order. With the pressure of the comp over there was the usual grand banquet and awards ceremony provided by the Hungarian government in the stunning city centre and the odd glass of vino or two was partaken off.. but thats another storey. During the comp I had been to busy to try and work out the scores so I was chuffed to say the least to learn I had made 2nd place in the individual comp. (the minus 50 points I got for giving the hostage a free haircut I mentioned earlier would have put me in first place! Hard lesson learned) and we also made 5th place in the team event. 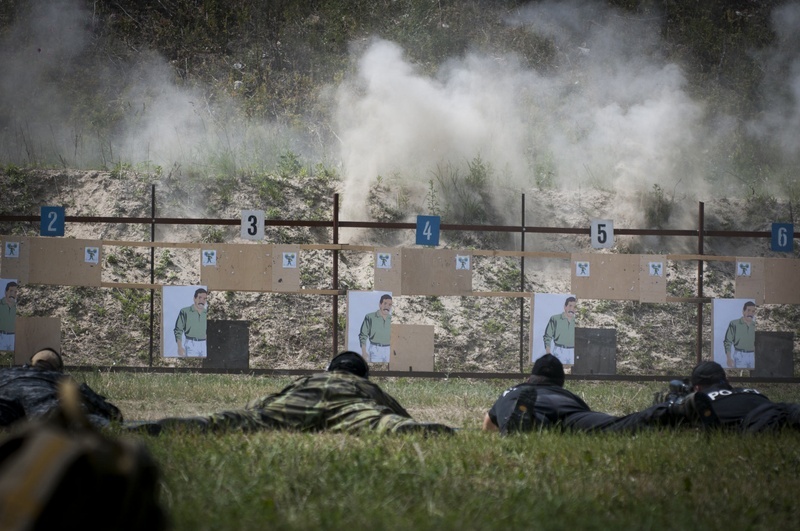 In keeping with previous years it was possible to shoot well and still ether not score well or easily be into minus scores.. this was a great testing / training ground for those police and military professional marksmen who may have to take a life to save a life in the course of there daily work. In closing id like to thank all those whos assistance made this possible, Andy Mass for the work on the rifle SYSS for the mod, action and trigger floorplate, Cheytac Ballistics solutions and Matt Wilks for providing great firing solutions. Fernando, Nick and Dave Shone and CZ SF for getting me across Europe to where I needed to be on time!!! Please dont try a replicate any of the COF enclosed here as it may result in injury or death.